Properties in Oyster Bay Golf Club average 4.5 out of 5 stars. 'Unforgettable'! LOCATION! 4th FROM OCEANFRONT, OCEAN, SUNSET & SUNRISE VIEWS! Property 1: 'Unforgettable'! LOCATION! 4th FROM OCEANFRONT, OCEAN, SUNSET & SUNRISE VIEWS! 2 Br 2nd Row Coastal Cottage. Property 3: 2 Br 2nd Row Coastal Cottage. Sunset Beach Cottage with Deck and Ocean Views! Property 4: Sunset Beach Cottage with Deck and Ocean Views! Property 12: Another Day In Paradise! Pet Friendly Cottage On Sunset Beach. Spacious, Comfortable And Ideally Located! Property 14: Pet Friendly Cottage On Sunset Beach. Spacious, Comfortable And Ideally Located! Perfect gathering place for families and golfers! Property 16: Perfect gathering place for families and golfers! Cozy Cottage 1 mile from Holden Beach and Boat Launch. Dog Friendly!! Property 17: Cozy Cottage 1 mile from Holden Beach and Boat Launch. Dog Friendly!! Adorable, second row cottage with pool! Directly across from beach access point! Property 21: Adorable, second row cottage with pool! Directly across from beach access point! Beautifully-decorated, 3-bedroom Beach Cottage, Located On Sunset Beach Island! Property 24: Beautifully-decorated, 3-bedroom Beach Cottage, Located On Sunset Beach Island! Stunning Private Saltwater Pool! Ocean Views, Festive Decor! Delightfully Clean! Property 25: Stunning Private Saltwater Pool! Ocean Views, Festive Decor! Delightfully Clean! Property 26: Charming and Clean Cottage! West End Rest and Relaxation! Property 31: West End Rest and Relaxation! Cute! Newly Remodeled Oib Cottage 2nd Row, 3 Blocks From Pier! Property 33: Cute! Newly Remodeled Oib Cottage 2nd Row, 3 Blocks From Pier! Fully Renovated Second Row Cottage with Private Pool! Walk to Shops. Property 34: Fully Renovated Second Row Cottage with Private Pool! Walk to Shops. Fabulous Family Cottage, Convenient Oceanfront, Memorable Vacation!! Property 35: Fabulous Family Cottage, Convenient Oceanfront, Memorable Vacation!! WILM 64 Bring your boat, relax and lose yourself to island life in this sporty cottage. Property 40: WILM 64 Bring your boat, relax and lose yourself to island life in this sporty cottage. Newly Renovated Ocean Front Cottage with Private Pool! Property 41: Newly Renovated Ocean Front Cottage with Private Pool! WILM 9 This vintage cottage provides a peaceful atmosphere for enjoying the scenic marshlands. Property 46: WILM 9 This vintage cottage provides a peaceful atmosphere for enjoying the scenic marshlands. 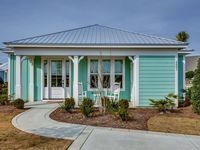 Beautiful Bungalow in North Myrtle Beach right next to the Barefoot Resort Marina! 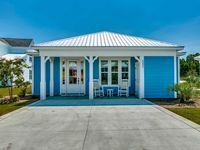 Property 50: Beautiful Bungalow in North Myrtle Beach right next to the Barefoot Resort Marina! This is a great bungalow!! Very clean and very convenient to everything we wanted to do! We hope to come back next year! Check in was also very easy! Nice place great neighborhood and easy check in!